If it’s been a few years since you shopped for a light bulb you might find yourself confused. Those controversial curly-cue ones that were cutting edge not that long ago? Gone. (Or harder to find.) 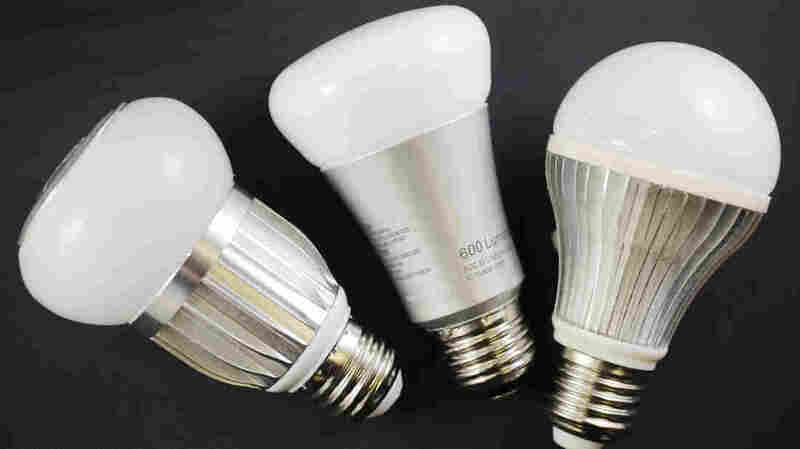 Thanks to a 2007 law signed by President George W. Bush, shelves these days are largely stocked with LED bulbs that look more like the traditional pear-shaped incandescent version, but use just one-fifth the energy. “DOE, in our view, exceeded its authority,” says Clark Silcox, general counsel for the National Electrical Manufacturers Association. NEMA argued that Congress never intended for the law to apply to all these other light bulbs. After President Trump took office the Energy Department agreed and proposed to reverse the agency’s previous decision. There aren’t many people out there clamoring for outdated light bulbs that use four or five times as much energy. “Now we’re going to have to generate about 25 large coal-burning power plants’ worth of extra electricity if this rollback goes through,” says Noah Horowitz, a senior scientist at NRDC. He calls it a bad idea and says it’s illegal. NEMA disagrees and also objects to the term “rollback.” Backsliding on energy efficiency requirements is not allowed under federal law. “The Department of Energy cannot illegally roll back from a place that it could not legally stand upon in the first place,” argues Silcox. Eventually a court likely will decide who’s correct. Environmental groups vow to sue if the Obama-era changes are reversed. “Consumers, basically, did not like them. They didn’t buy them. They complained about them. We heard that loud and clear,” says Jennifer Dolin, head of government affairs and sustainability at LEDVANCE, which manufactures Sylvania light bulbs.